Resin Seeds Critical Haze featured in Cannabis Sativa volume 3! Home / News / Resin Seeds Critical Haze featured in Cannabis Sativa volume 3! 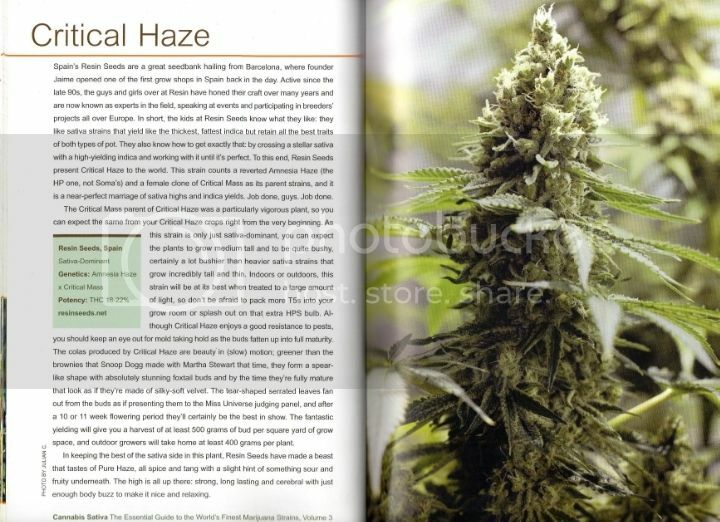 Our wonderful Critical Haze, Cup winner, is featured in the new book of sativas, Cannabis Sativa Volume 3. They are nice books for all cannabis lovers to have. « We are soon updating our web page!